The Studio Andes, Studio Inca and Studio Kepler gas fires offer a beautiful natural design statement. Available only with the Open Fronted 1 and 2 Studios, these eye-catching solid timber frames cannot fail to impress as they surround a real gas fire in a choice of Walnut and Oak*. 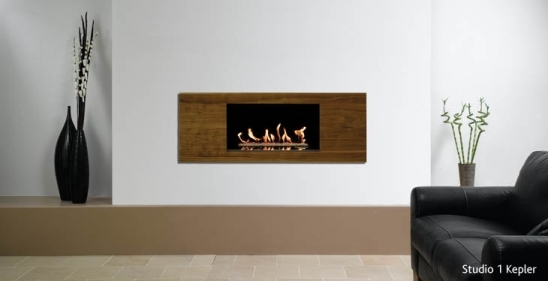 Perfectly crafted to fit in with the latest wood designs, these Innovative gas fires perfectly complement many of the current popular interior design concepts. *Wood is a natural material. There will be variations in shading and, occasionally knots in the timber used.